Walking around the SEMA show last year, I happened upon this cool ride in a parking lot near the convention center. 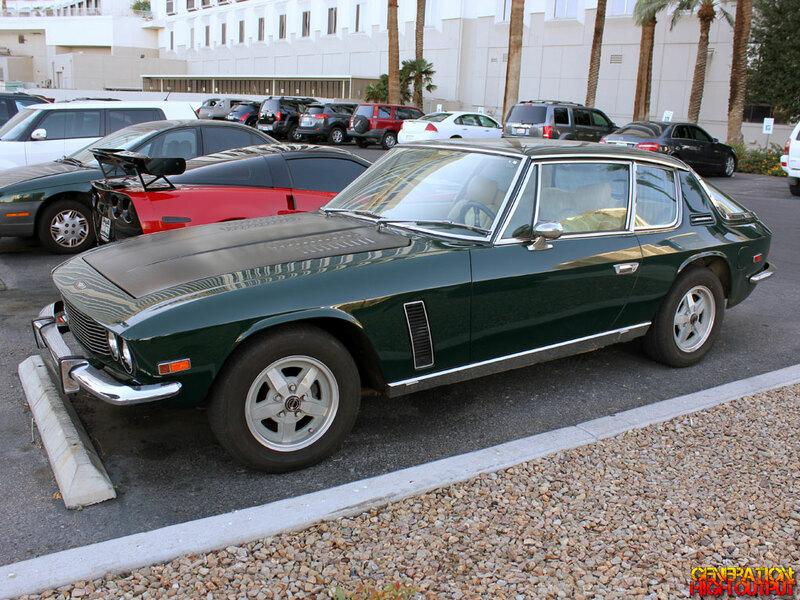 It’s a 1974 Jensen Interceptor III, a rare British car that you don’t often see. 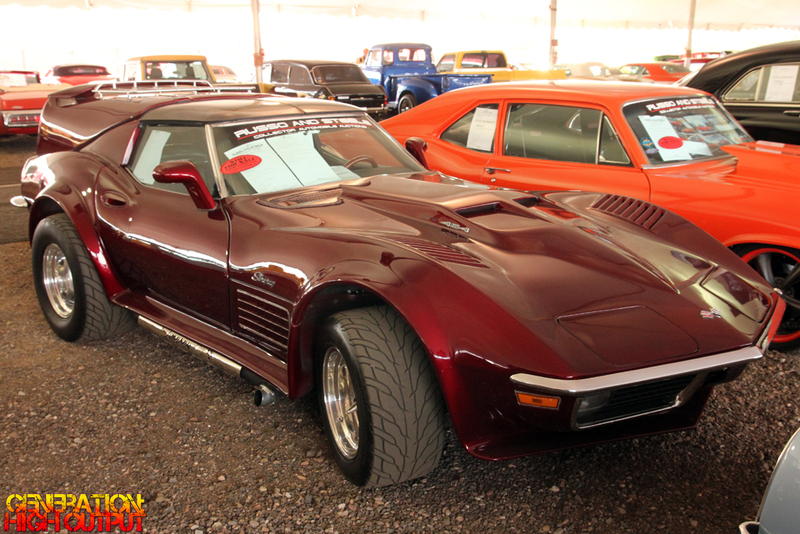 Between 1966 and 1976, just 6,400 of these cars were built – which is an extremely small number for a production car. I have to wonder how many of them were left-hand drive and how many are in the United States? Probably not very many, which makes this car all the more special. At first glance, I thought this car was a Lamborghini Espada, or some kind of Maserati, or perhaps even a DeTomaso? As it turns out, it is actually a very rare and short-lived car called a Bitter Diplomat coupe. The idea for this luxury gran tourer came from Erich Bitter, a German racing driver turned entrepreneur. He started Bitter Automotive in the early 1970s and set about manufacturing passenger cars. 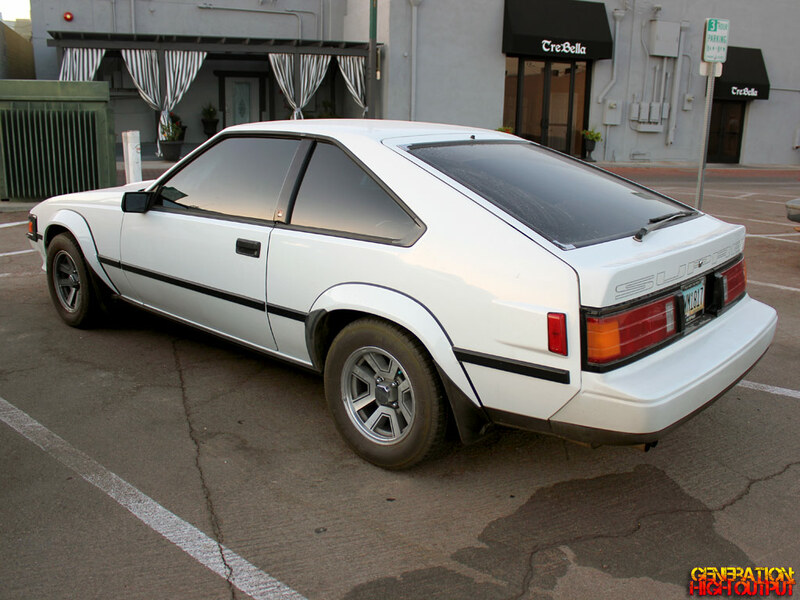 The 1980s were a gold rush of Japanese sports cars making their way to the United States. 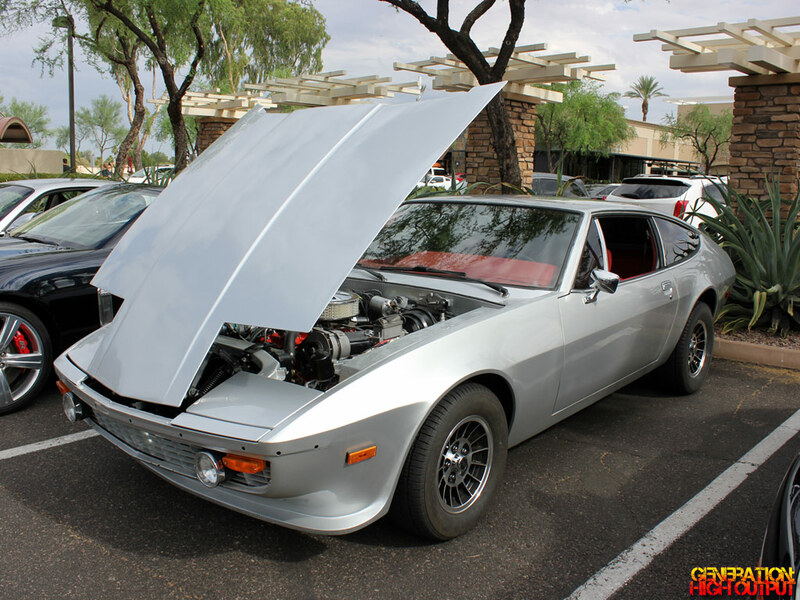 Manufacturers were importing cars such as the 280ZX and 300ZX from Nissan, the RX-7 from Mazda, the Mitsubishi Starion, the Isuzu Impulse, and the Subaru XT. Perhaps one of the most memorable Japanese cars of the decade was the Toyota Supra. This two-seater sports coupe is pretty much a direct descendant of the Toyota 2000GT I covered recently. 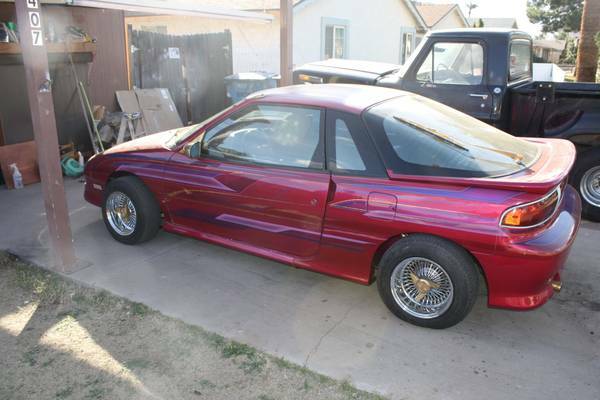 It has an inline-6 cylinder engine, rear wheel drive, and a long, sloping front with a hatchback roof. Toyota produced the second generation (or Mark II) from 1982 through 1986. They were badged as “Celica Supra” at the time, becoming just “Supra” in 1986 with the introduction of the Mark III Supra. If there is one thing I have learned from watching Antiques Roadshow, it is that you should never try to clean any object that might be old and valuable. In doing so, you may destroy much of the item’s value. The same rule applies to antique guns, guitars, and more recently, automobiles. Not too long ago, people restored old cars to a factory-new finish in order to make them valuable. Now, the emphasis is shifting towards leaving the car “as-is” and showing its age. People really dig the “patina” look but personally, I never really understood why. 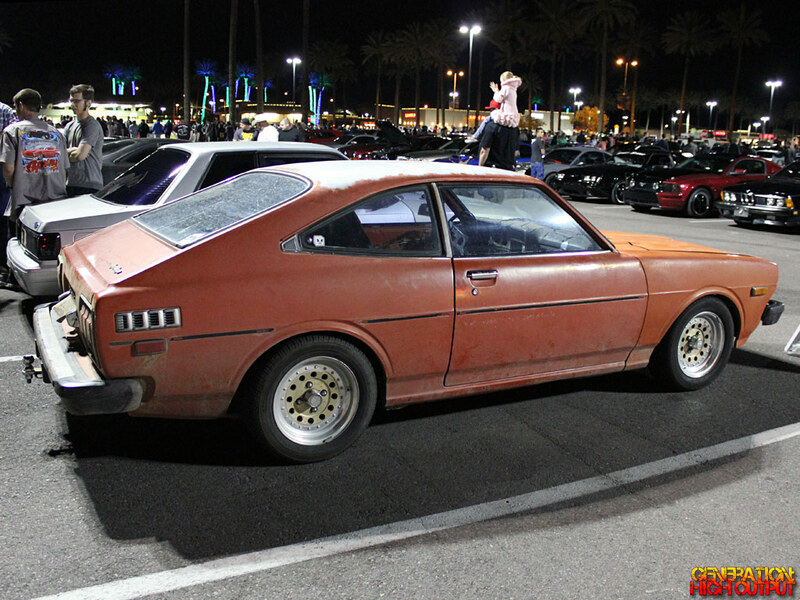 Then I saw this ’77 Corolla, and I think I am starting to understand. The 1973 OPEC oil crisis had a dramatic effect on the American automobile industry. An embargo with oil-exporting countries of the middle east caused a shortage of crude oil which is refined into gasoline. The shortage in turn caused gasoline prices to skyrocket and rationing to go into effect. In response to customer demand and new Federal Emissions Standards, the “Big Three” automakers went to work building a new generation of cars that were smaller and more fuel efficient. Chevrolet introduced the Monza and Citation, while Ford debuted the Pinto and the Fiesta. 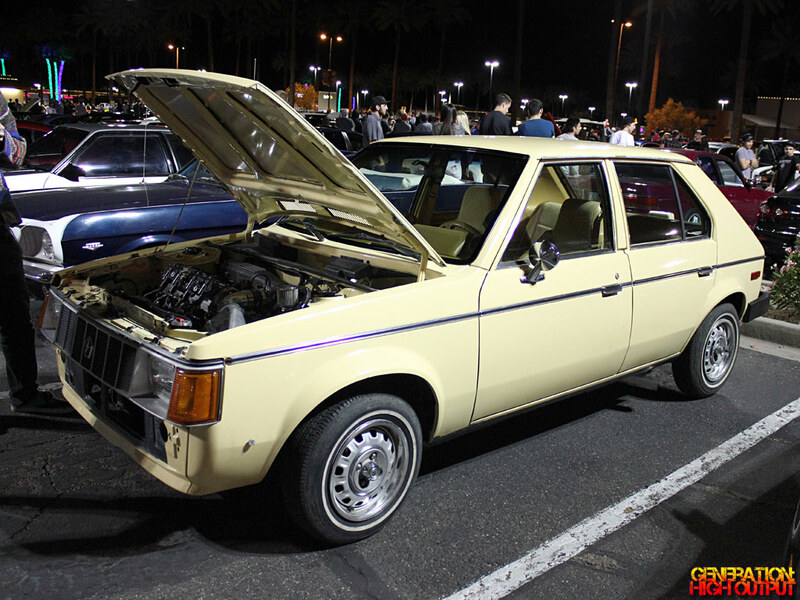 Not to be outdone, Chrysler introduced their new compact, front-wheel drive model in 1978: the Dodge Omni (and its badge-engineered cousin, the Plymouth Horizon). For decades, car makers have turned to the “wedge shape” whenever they wanted to make a car that looked sporty, cool, or futuristic. There were an abundance of wedge-shaped cars in the 1980s: the DeLorean DMC-12, the DeTomaso Pantera, the Pontiac Fiero, the C4 Corvette, the Lotus Esprit, and of course, everything in Ferrari and Lamborghini’s lineup. 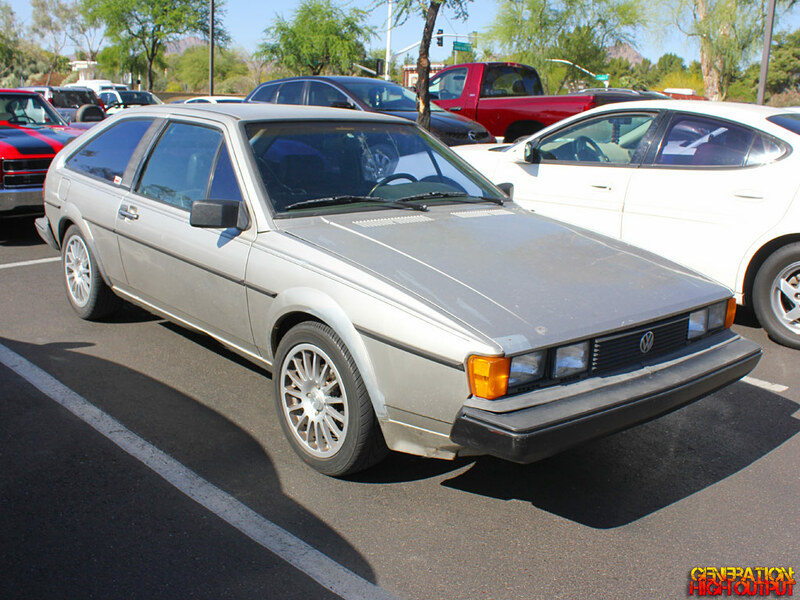 Another automaker to jump on the “wedge shape” bandwagon was Volkswagen, who went all in with the Mk2 Scirocco that was unveiled in 1981. I spotted this at the Russo and Steele auction, the ‘still for sale’ tags indicates that either nobody wanted it or it didn’t meet the reserve price.